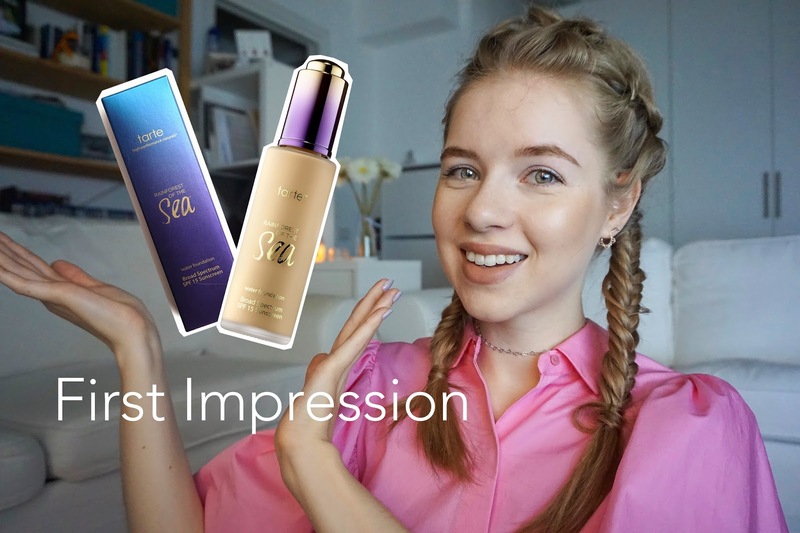 It's time for another first impression and this time on the Tarte Rainforest of the Sea foundation. Because of my fair skin, it can be quite difficult to find a light enough shade in foundations, so I was very pleased with Tarte's shade selection. If you remember, my Bourjois foundation oxidizes and gets too dark for me, so after gifting it to a friend, I needed a new foundation. With a bit of research, I became more curios about the Tarte water foundation and decided to get my hands on it, which was quite easy thanks to my sister who brought it from the US. If you want to see how it applies and my full thoughts on it, please watch the video below. Overall, this is a wonderful foundation. For me the con's are all small details, nothing major that would stop me from using or recommending this foundation. The smooth evened out finish is beautiful and worth the hype. I have normal to oily skin and love this foundation. Thanks for sharing! Lovely review! This foundation is so cool, I love the packaging. I have quite light medium skin and I would love to try this next time I'm at Sephora. Shame good foundation is so expensive these days. I've never heard about this one! Very nice!